I am excited to launch my new Healthy Eating for New Mums track - a sensible approach to lose weight after having a baby. This new track is all about acknowledging your needs as a new mum by helping you change or improve your eating habits so you increase your intake of healthy, nutritious food, increase the amount of water you drink and decrease foods high in sugar, saturated fats and starchy carbs. In addition it helps you shift away from emotion based eating (ie eating out of boredom, stress, tiredness, habit) and towards eating mainly for nutrition as well as hunger. This new track can be purchased and downloaded from the Natal Hypnotherapy website. 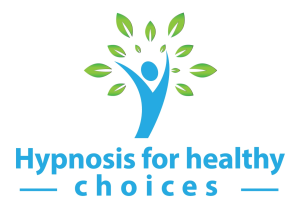 Lose Weight through Heathy Choices has been developed by one of the UKs leading Hypnotherapists Maggie Howell: "For many people, the reasons they over eat have little to do with hunger or their actual need for energy. It is often for reasons such as stress, boredom, habit, addiction to sugar and even dehydration. Many people feel they are unable to consciously control the desire to eat certain types of food and have ingrained negative thought patterns around food. It is often these negative associations with food coupled with lack of will power or control that prevent them from making the necessary changes to reduce their weight." As the saying goes - there is no diet that will do what healthy eating day in and day out does. There is a great deal of evidence that diets do not actually work in the long term. It is only by changing your thoughts, triggers and eating habits to ones which are healthy and beneficial for you that you will reduce your weight and size to one which is right for you. Maggie Howell comments: "These are very challenging times for all of us, where stress levels can reach unacceptable highs. With this CD you can learn techniques to help you manage stressful situations more effectively, put things back in perspective, feel calmer and more in control, whilst providing immediate relaxation in just half an hour."